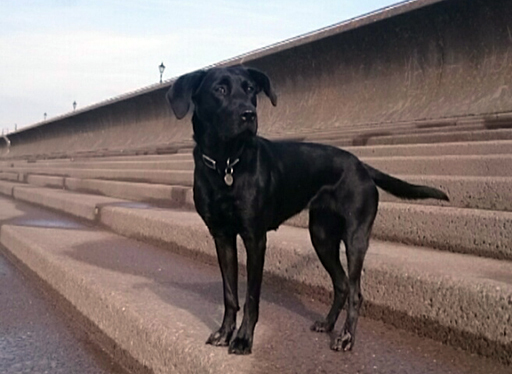 Hip Scoring our dogs – why and how? 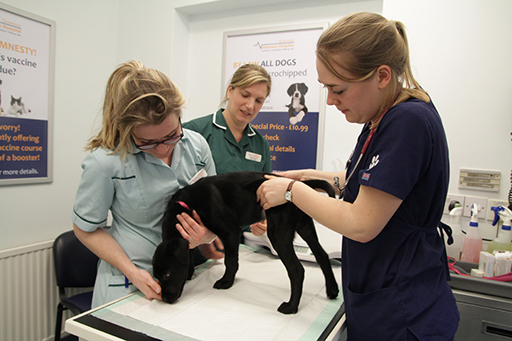 We are delighted to say that now two of our vets, Hannah Brown and Kris Herman have gained accreditation in ‘PennHIP’. PennHIP is a sophisticated hip scoring method which aims to safeguard the health and welfare of dogs, and dog breeds, through the identification of dogs with, or likely to develop, hip dysplasia. Hip dysplasia is a malformation of the hip joint; over time this malformation leads to degenerative changes to the joint causing a progressive loss of comfort and function of the hip joints. Both Kris and Hannah are now fully accredited in the PennHIP scheme, which means we can offer all our clients PennHIP assessment for their dogs. PennHIP stands for the ‘Pennsylvania Hip Improvement Program’. Developed in America, it is an advanced method of assessing dogs’ hips from the young age of 16 weeks old. A series of x-rays are taken of the dogs pelvis and hip joints – not just using a ‘Hip Extended view’ as used in other schemes, PennHIP also requires a ‘Compression view’ and ‘Distraction view’ providing more information, and building a more complete picture, of the hip and it’s conformation. The x-rays are taken here at the Hospital, by a vet such as Hannah or Kris accredited in the technique, and sent to the US for assessment and scoring by a PennHIP specialist radiologist. The official report and score will identify dogs that have hip dysplasia and allows the assessment of the risk of developing osteoarthritis in the future. 1. to reduce the incidence of hip dysplasia in dogs. There is a genetic element to this condition so it is particularly useful to assess dogs for suitability for breeding. 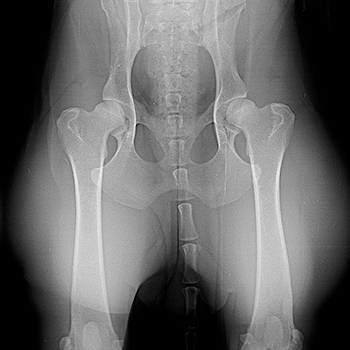 Assessment helps to ensure that we are only breeding from dogs with strong, healthy hips, minimising the chance of puppies developing hip dysplasia and consequently hip osteoarthritis. 2. to allow us to assess hips at a younger age – at 16 weeks this is much earlier than other scoring methods – and predict risk for developing osteoarthritis later in life. This is useful in all dogs and particularly in working dogs (such as assistance dogs or police / military dogs) to aid the selection of candidates for their working careers. If diagnosed early, appropriate management can be introduced to delay and slow the onset and progression of osteoarthritis. Early diagnosis is hugely beneficial for patients as hip arthritis caused by dysplasia can be extremely painful and debilitating. It can make a significant difference to our pets’, and working dogs’, quality of life. Several more of our staff will gain the accreditation over the coming months but for now Kris and Hannah will be carrying out this service for our clients. We strongly recommend this assessment to clients who may be concerned about arthritis, for potential working dogs and for potential breeding dogs. 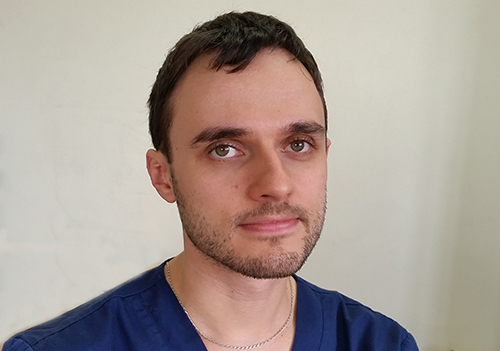 Please contact us at the practice or click here for more detail on PennHIP. Congratulations again to Kris and Hannah and watch this space for more information over the coming months.